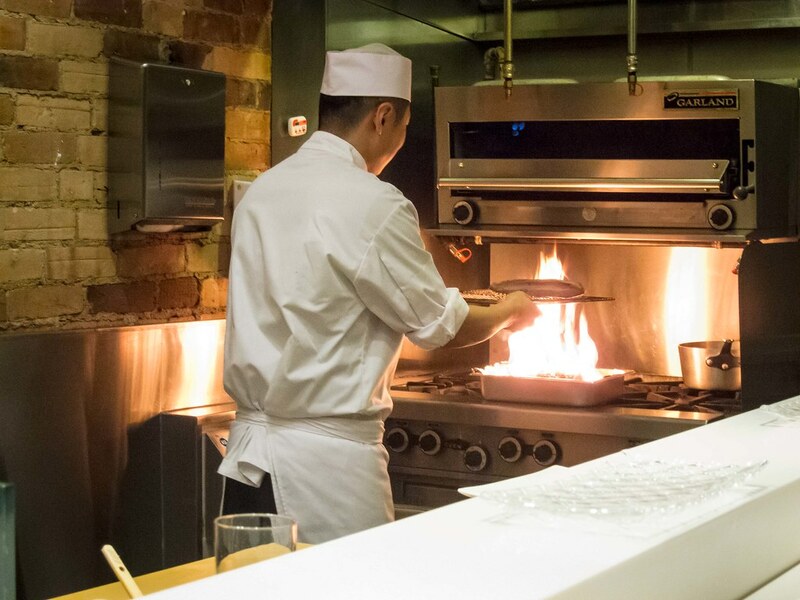 Atmosphere: Occupying a converted semi-detached house, dinner at Yasu was an intimate and unique experience. 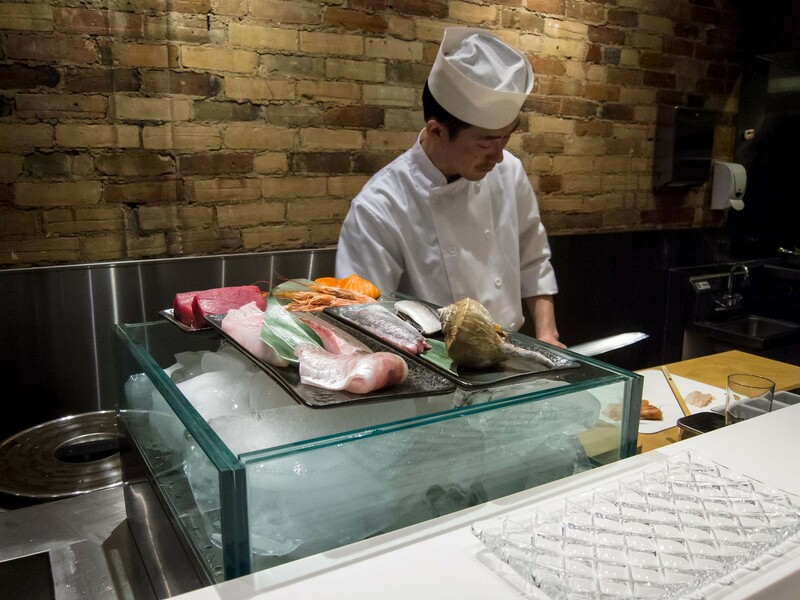 With only 12 seats, 10 of which surround the sushi bar, you’re up and close to the chef as each piece of nigiri is prepared and served. Background music was quiet, making conversation easy when we weren’t transfixed by the chef. 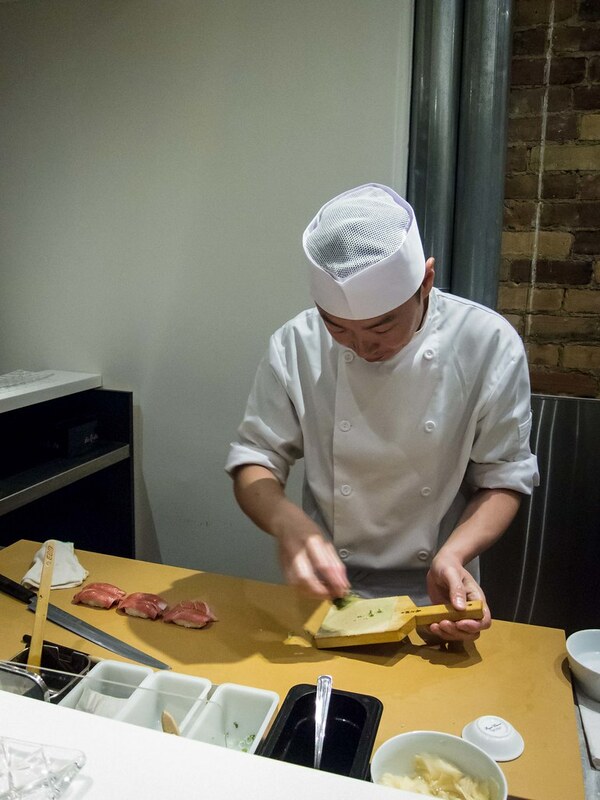 Service: Yasu currently offers 2 dinner seatings from Monday to Thursday and 3 from Friday to Sunday. Arriving too early for a seating may mean having to wait outside if the previous seating ran long. 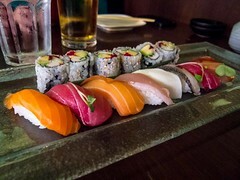 The Fiance and I arrived 10 minutes before our reservation and took seats #5 and #6 at the sushi bar. Servers took our coats as we entered and drink orders were taken after some time with the menu. We were taken care of by Chef Yoshinaga who was friendly, answered our questions and had fun posing for pictures. Dinner only began once all 12 diners had been seated. 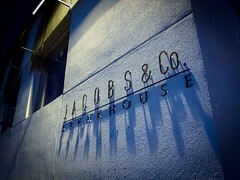 Reservations can be made one month ahead of time and require a credit card. Note that any cancellations or changes to the number of guests made with less than 24 hours notice will have the full $80 + HST charged unless the seats get filled. Yasu posts on their Facebook page when same-day seats are available. 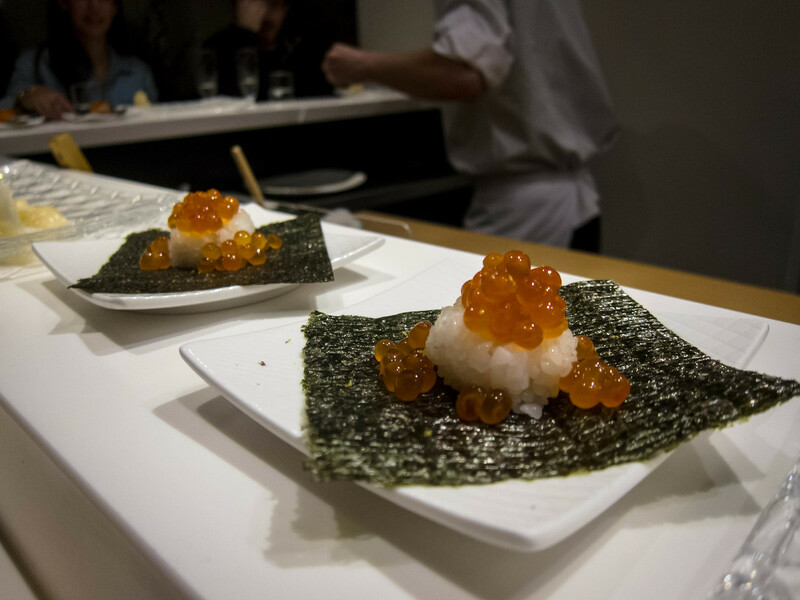 Food: The Omakase at Yasu consists of 18 pieces and dessert. Both The Fiance and I were satisfied after our meal (I ordered one additional piece) but not stuffed. The quality and freshness of the ingredients were top-notch. I was in love with every bite. At the start of the meal, Chef Yoshinaga placed a mound of pickled ginger on each plate and asked about allergies. He also asked if we had a preference for the amount of wasabi or size of rice ball. We all left ourselves in his capable hands. Displayed between both chefs were the fresh fish being prepared that night and the chefs passed pieces between them as they cooked. 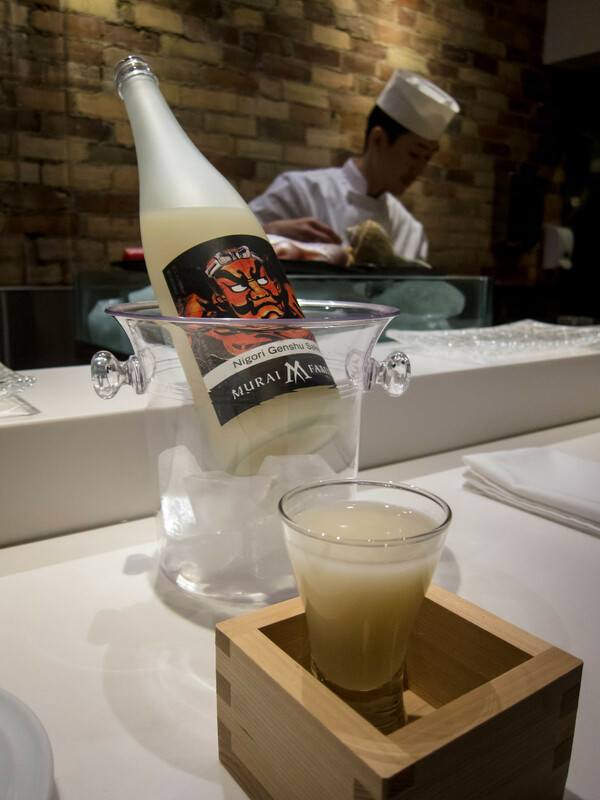 Each piece of sushi has a unique amount of wasabi paired with it and a brush of nikiri sauce. 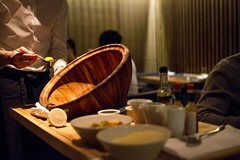 Some pieces, like the horse mackerel were topped with sliced scallions and grated ginger. Watching each piece of sushi come together was fascinating, from selecting where to slice the fish to the delicate assembly. The wasabi at Yasu was grated from horseradish root and rich in flavour. More ginger can be requested at any time during the meal. 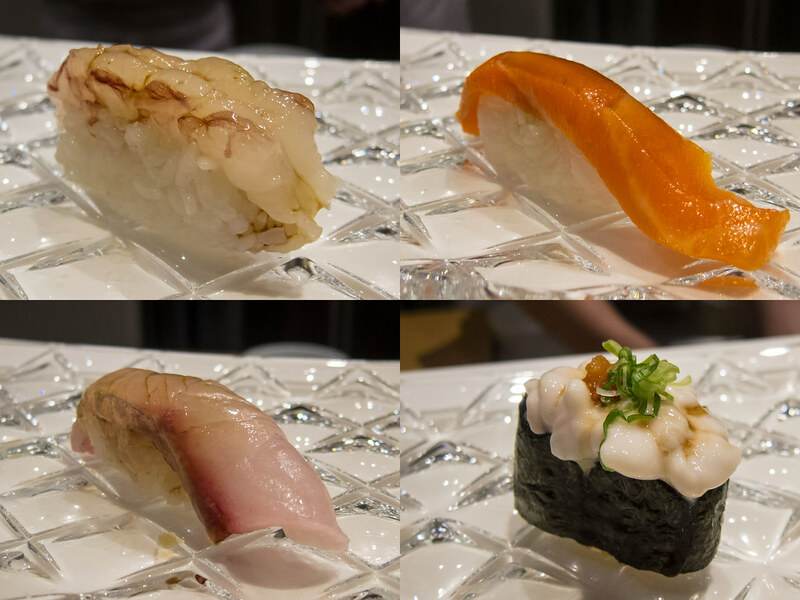 Chef Yoshinaga introduced each fish with their name and origin as he placed them in front of us. At the end of the meal, we were able to order additional pieces of any fish at $7-$8 each. For me, my favourite piece of the night was the sweet shrimp. 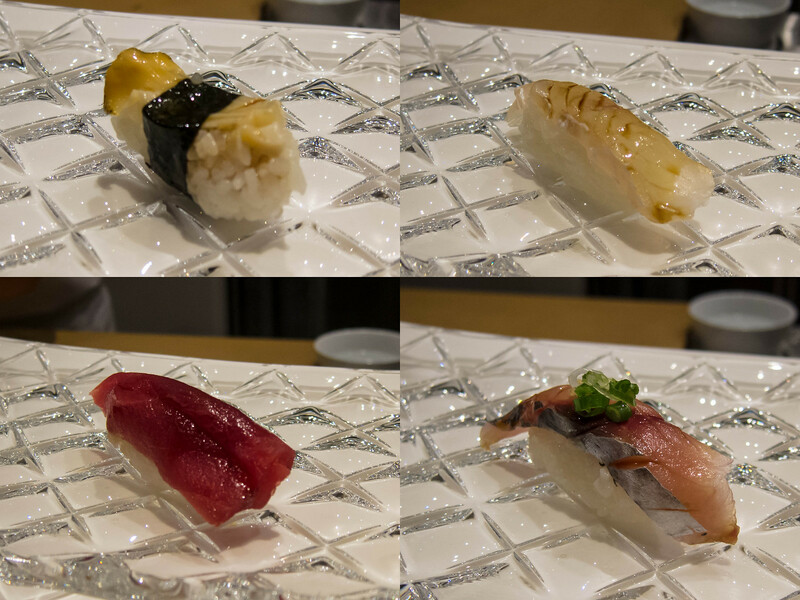 Close behind were the horse mackerel, ocean trout, ikura, bluefin tuna, o-toro and sea bass. Each piece had it’s own unique texture and there wasn’t one that I didn’t enjoy. 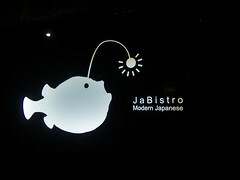 The scorpion fish was the most fishy and I have had better uni in Toronto. 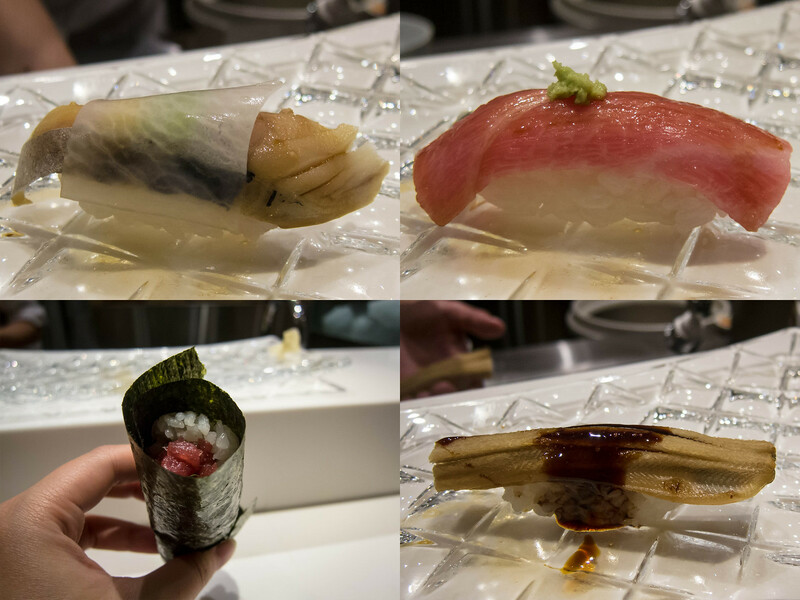 The most interesting sushi that night was the shirako, or cod sperm. No one had a clue what it was and after finding out, everyone was game to try. 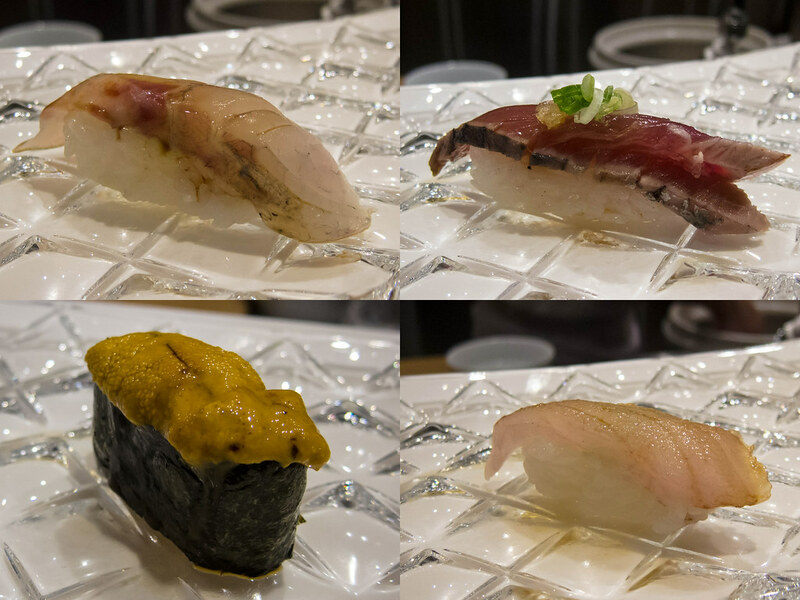 The shirako did not have any fish taste, was creamy, velvety and pretty tasty. 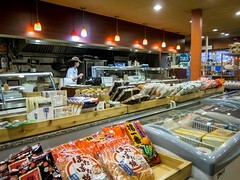 In Japan, shirako is considered a delicacy and served with many cooking techniques. Next time I’m in Japan, I’ll be searching for it. 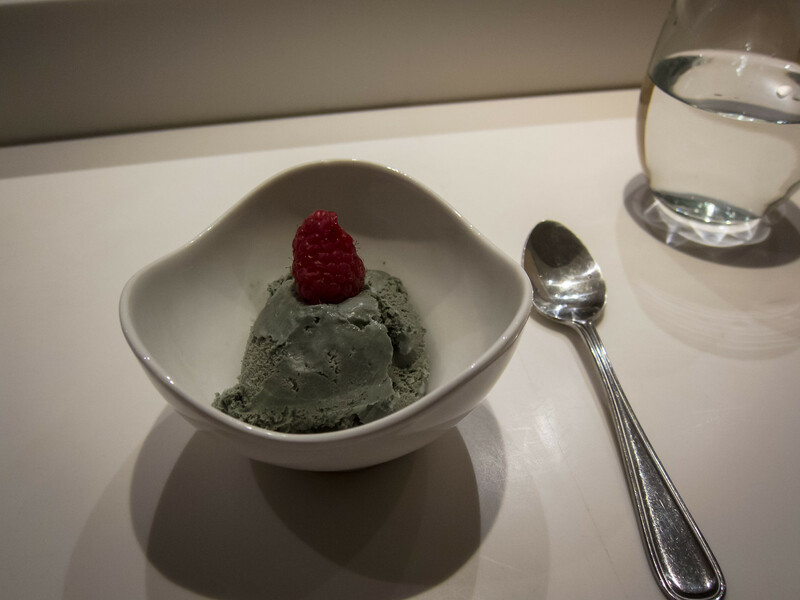 Dinner ends with a square of sweet tamago and your choice of black sesame ice cream or green tea panna cotta. 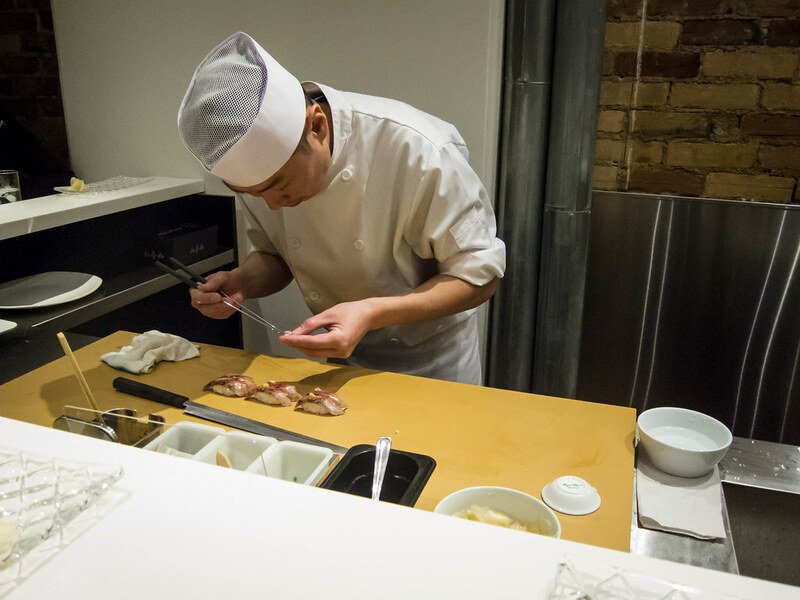 Overall Yasu delivered a high quality meal with delicate and intense flavours. 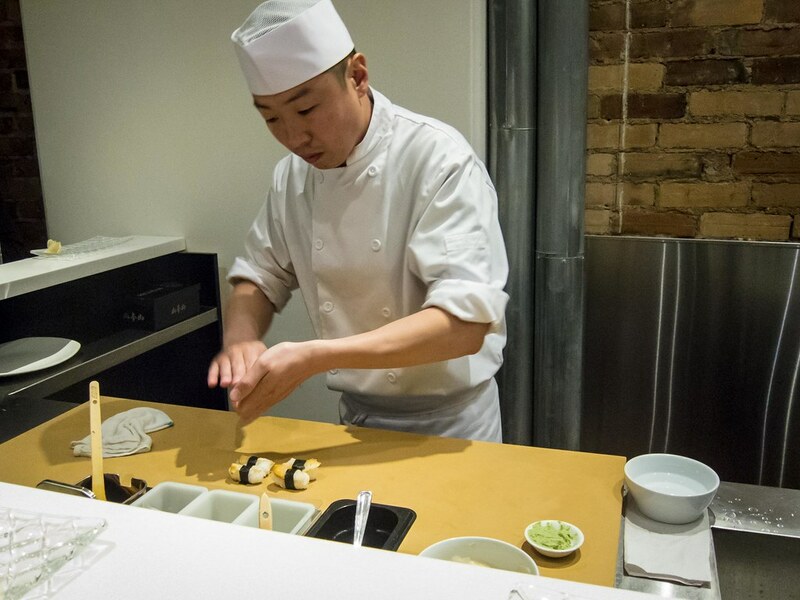 If you appreciate sushi, the entire experience of dining at Yasu is worth the price tag.